Garmin has announced the 3rd version of their popular Fenix GPS watch at CES 2015, and it looks great. Notable additions to the Fenix 3 include an upgrade to a colour ‘chroma’ display. They have also added stainless steel EXO antenna with GPS + GLONASS support for faster fix times. Additionally, the entire range will now support the new Connect IQ platform of apps, and custom watch faces. This is completely new hardware, and they are slimmer than the Fenix 2. There are 3 models: Grey with the black band, Silver with the red band, and the premium Sapphire screen version which comes with a stainless steel band, and black rubber band too. All three versions also come in a Heart Rate Monitor Bundle, if you want to save money getting a HRM bundled with it. They will all be available 30th January in Australia, with local pricing details here. Update: Garmin has announced their latest model for the Fenix 3 the Fenix 3 HR. 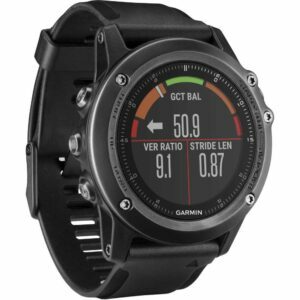 The new model uses Garmin’s Elevate optical HR sensor to monitor your Heart Rate 24/7.